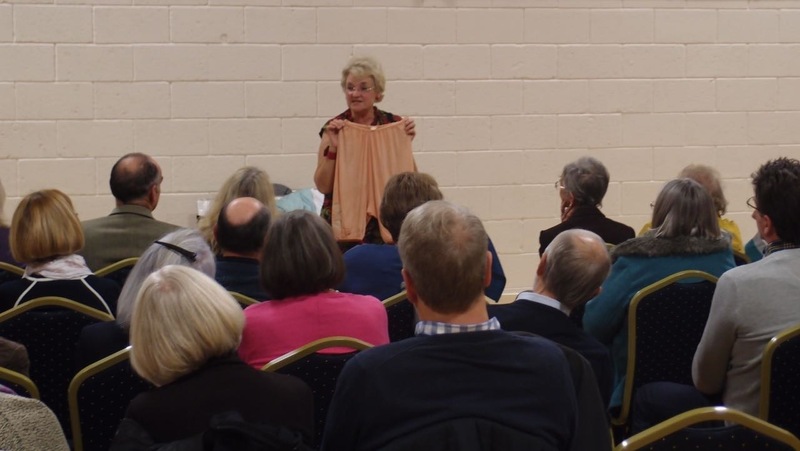 By kind arrangement of Peter Young, Janet presented her History of Knickers to a gathering in the Community Centre on Friday evening. From her exhaustive supply of samples in a never ending suitcase she produced pair after pair of drawers, bloomers, and knickers of nearly every material and hue. This was accompanied by amusing and informative comment, and a fun time was had by all.